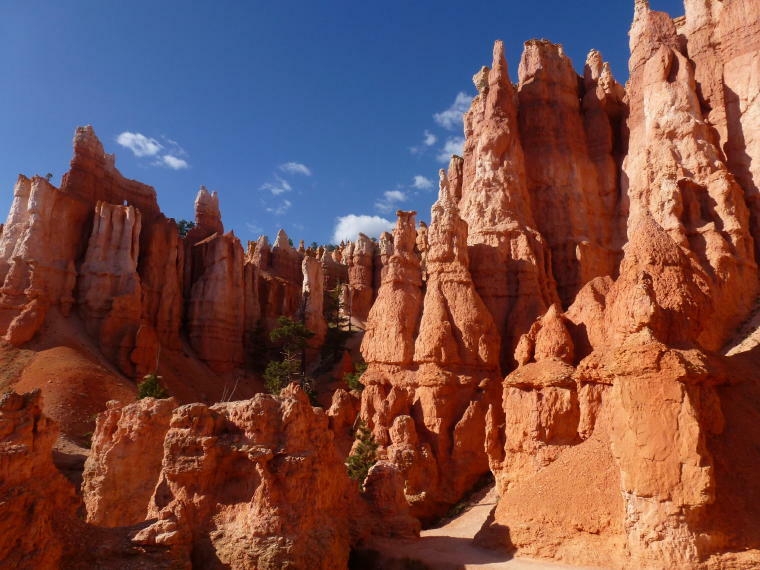 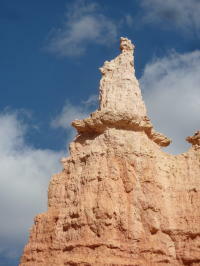 Bryce Canyon National Park contains some of the earth's most colorful rocks which have been sculpted into pillars called "hoodoos". 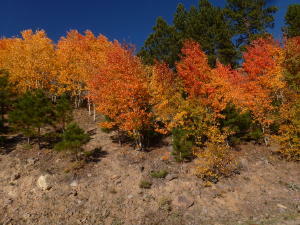 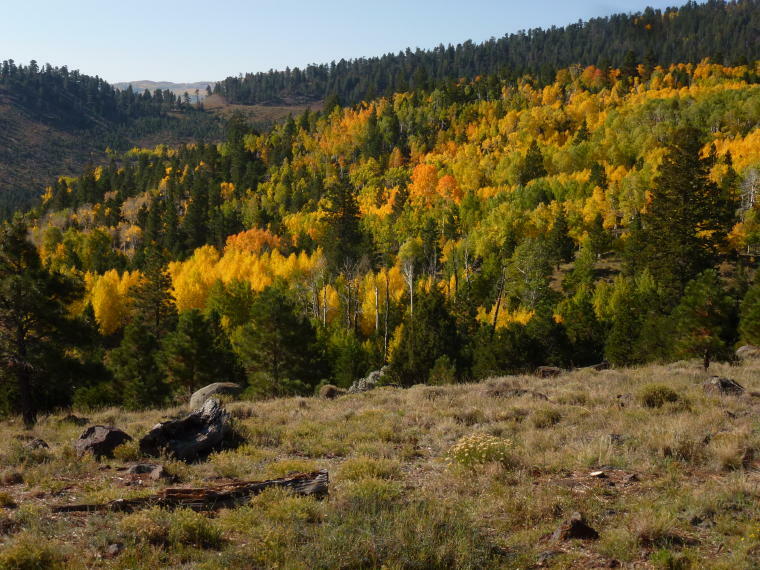 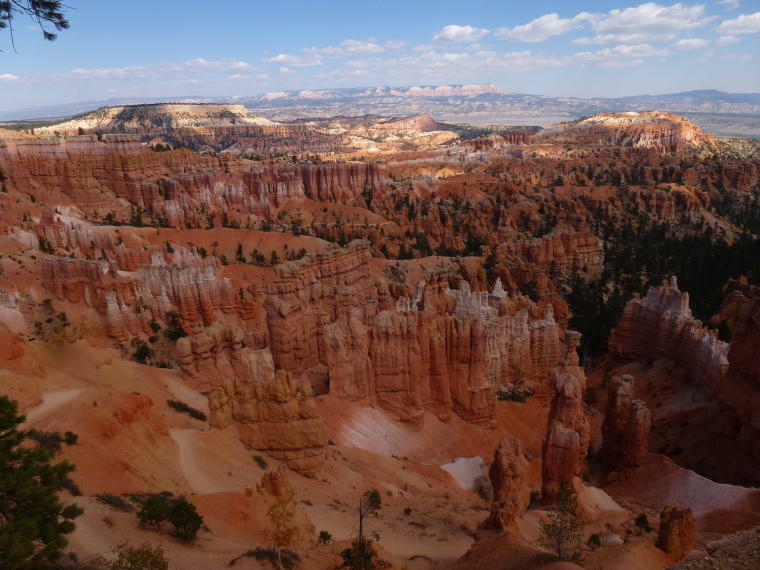 Iron oxides give red, yellow and brown tints to the limestone, while manganese oxides lend a lavender hue. 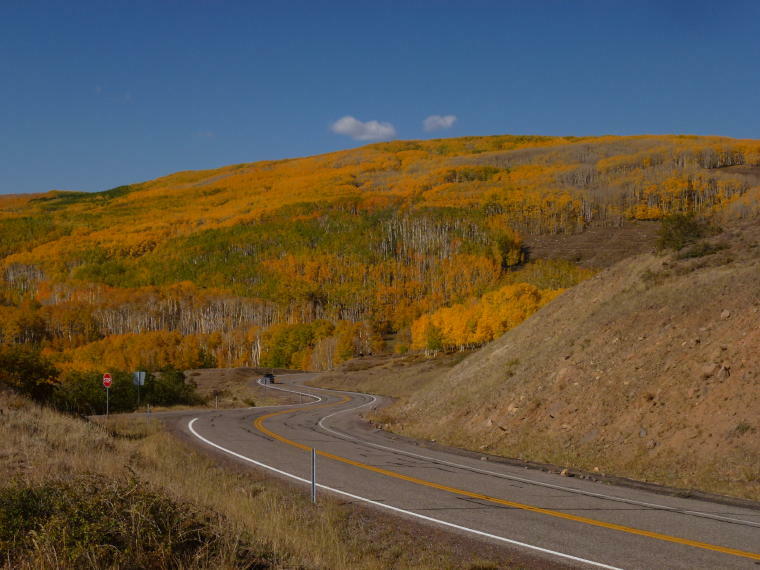 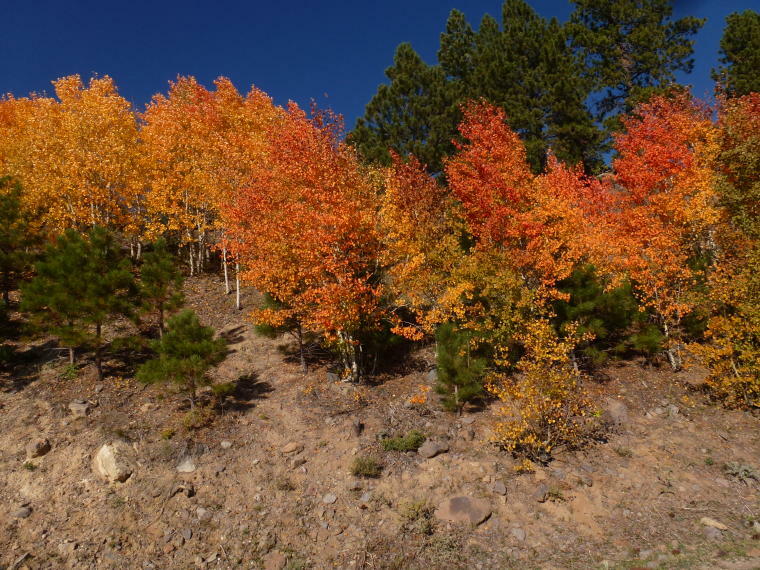 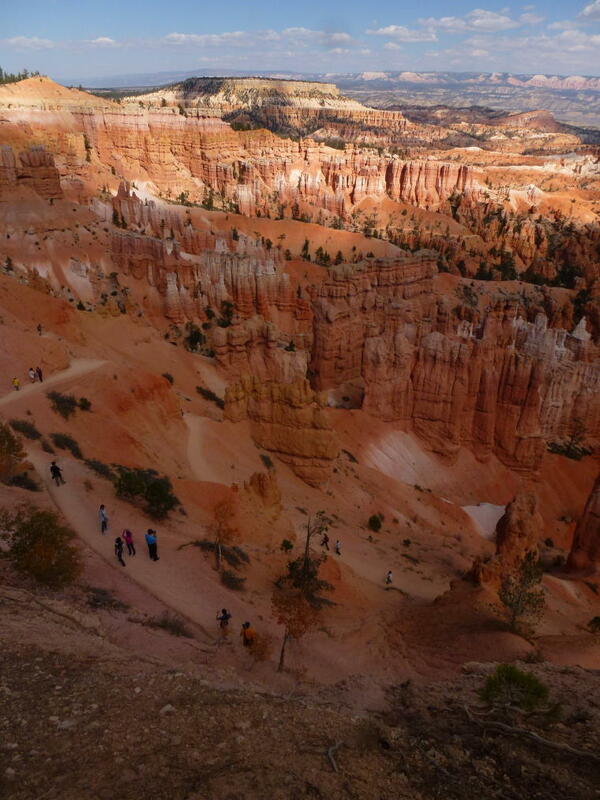 Leaving Capital Reef National Park, we drove 120 miles to the park through beautiful areas of Aspen trees whose leaves had turned to gold. 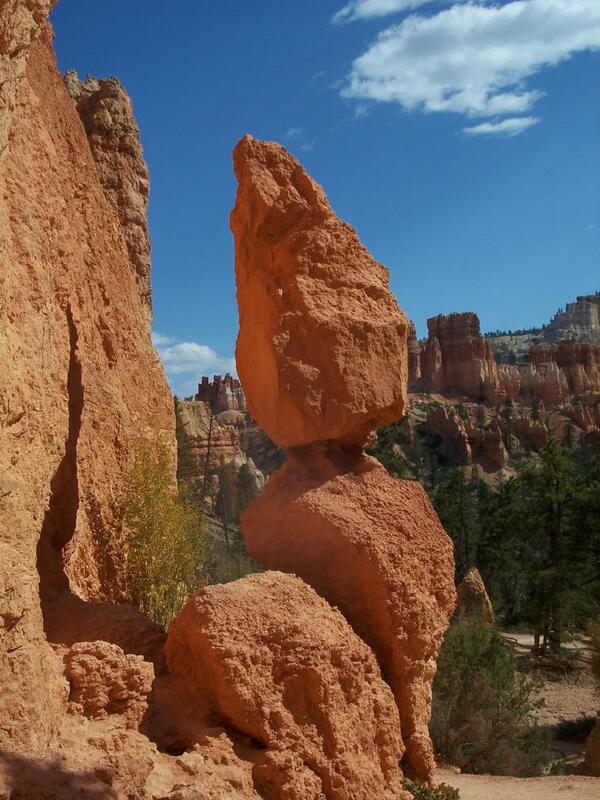 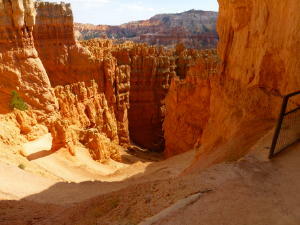 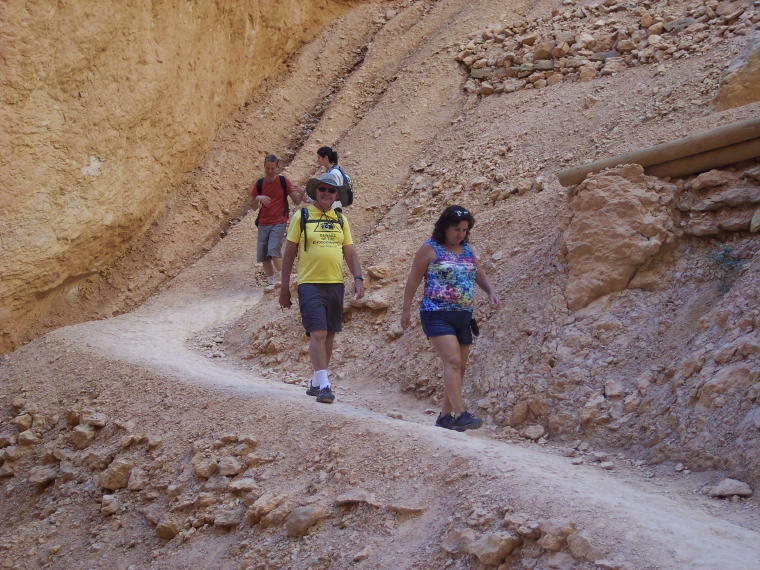 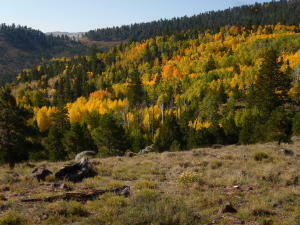 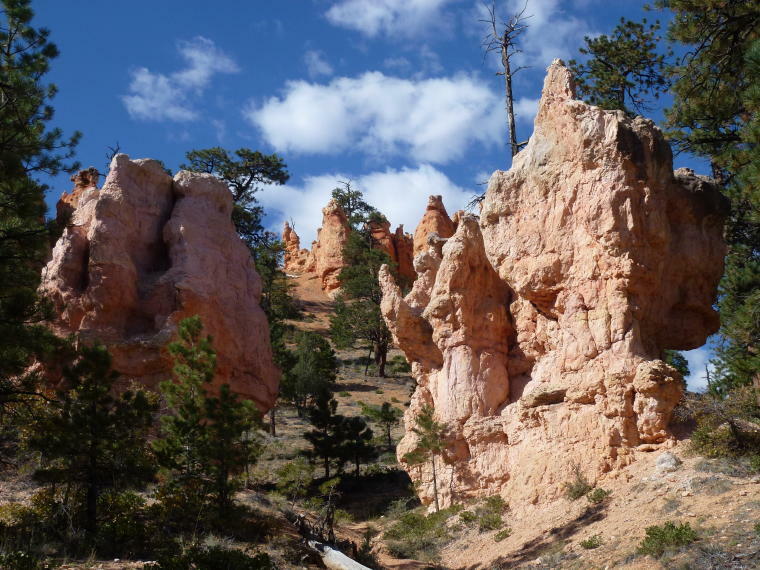 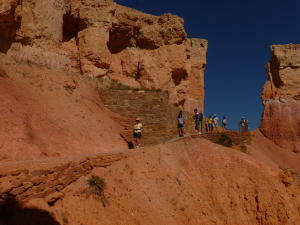 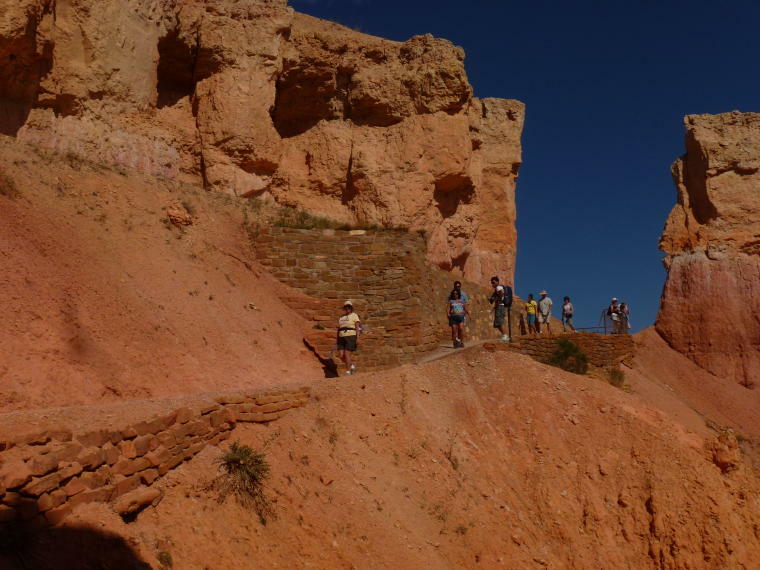 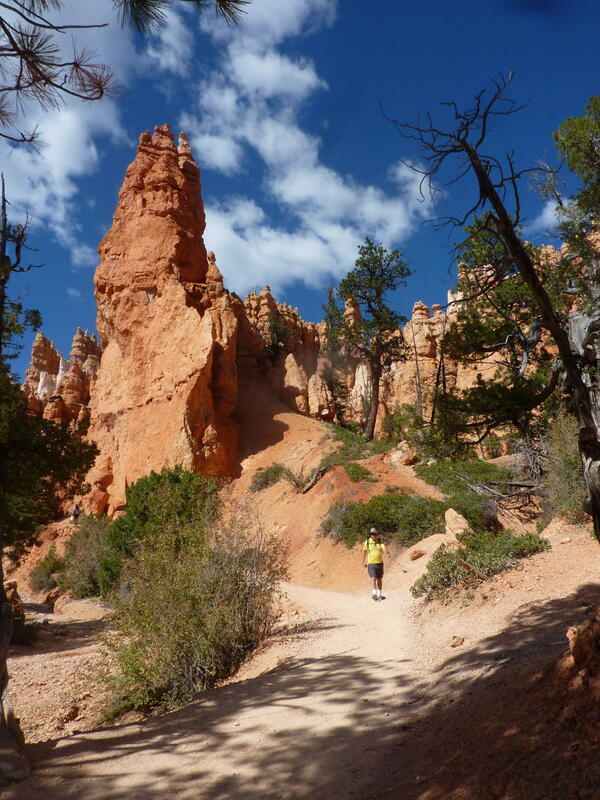 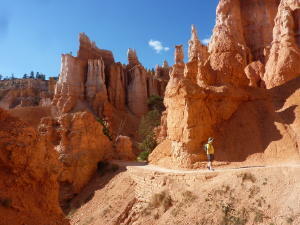 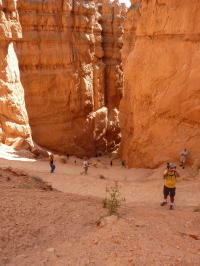 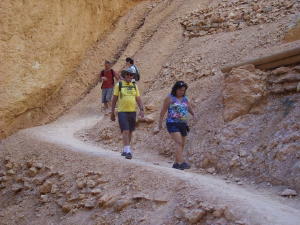 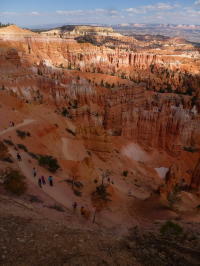 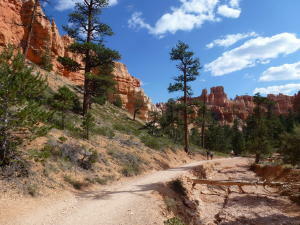 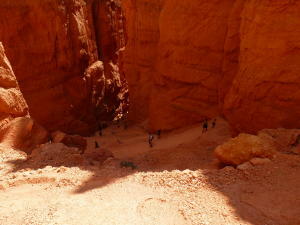 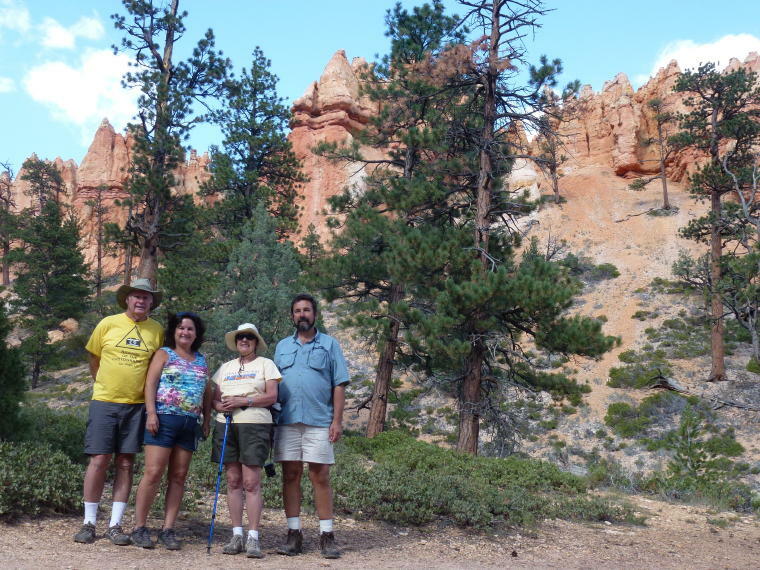 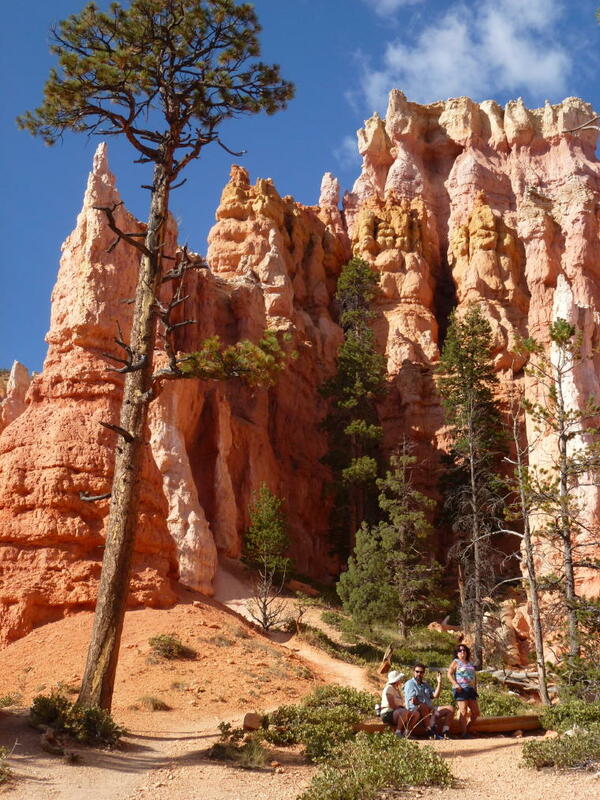 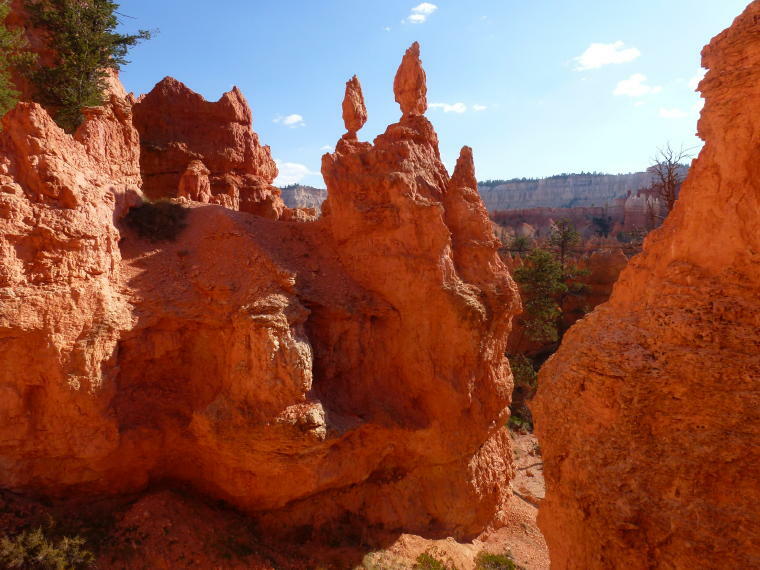 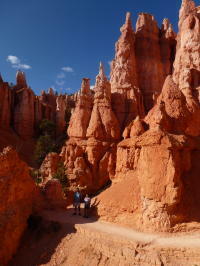 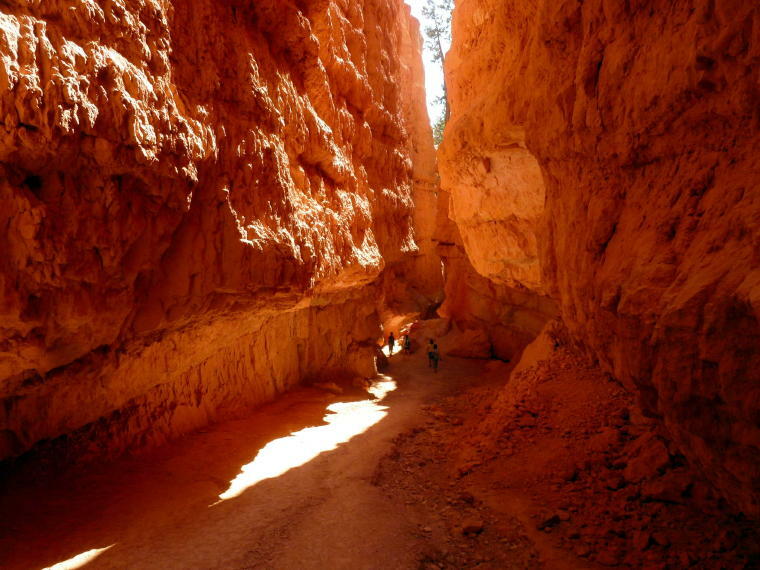 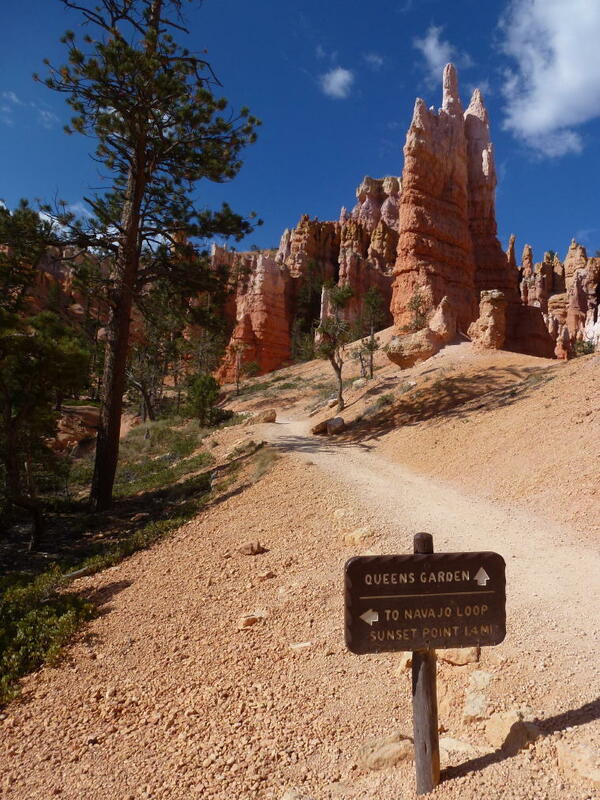 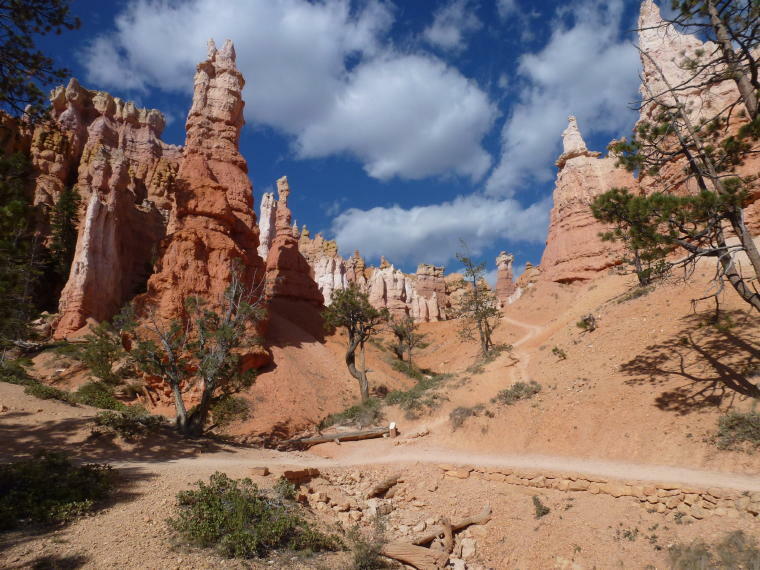 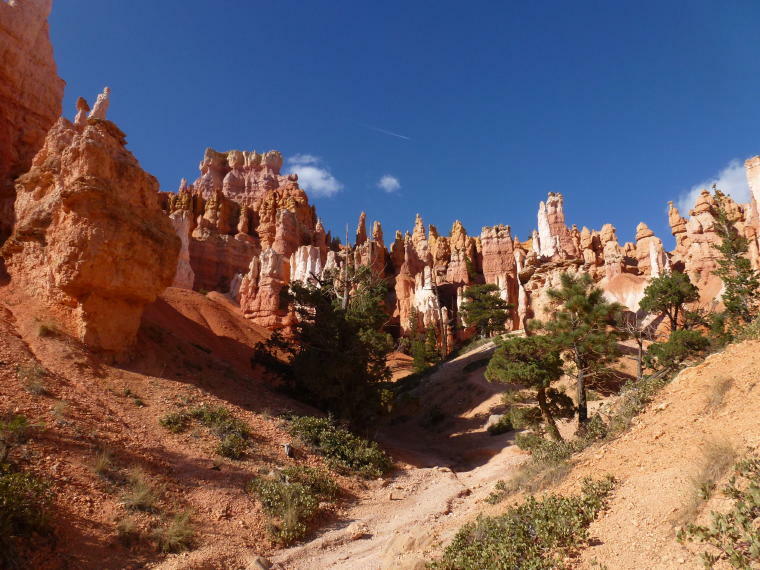 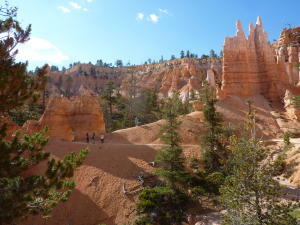 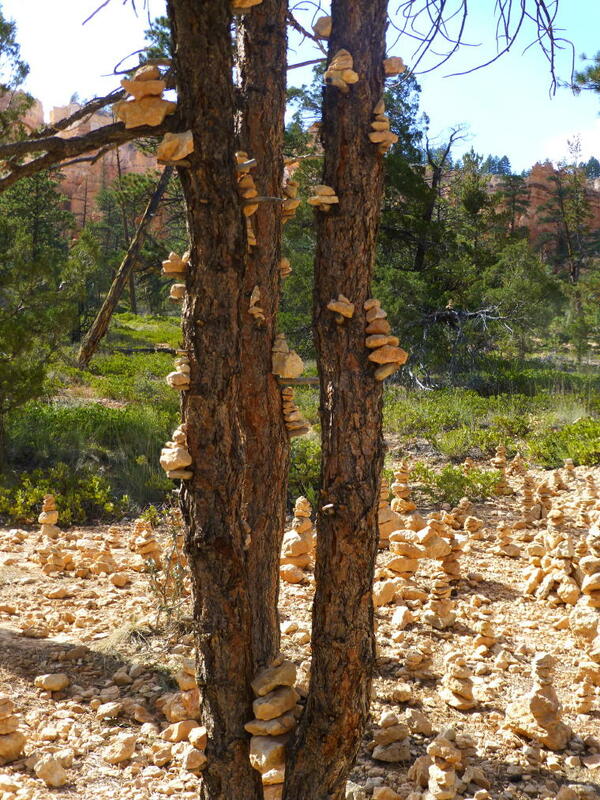 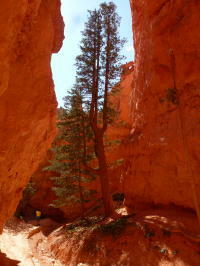 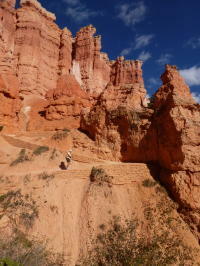 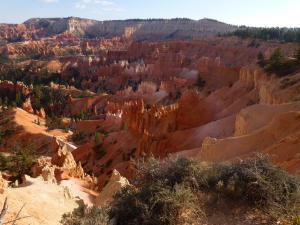 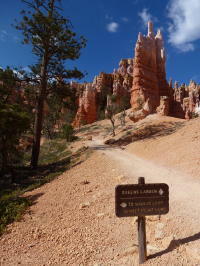 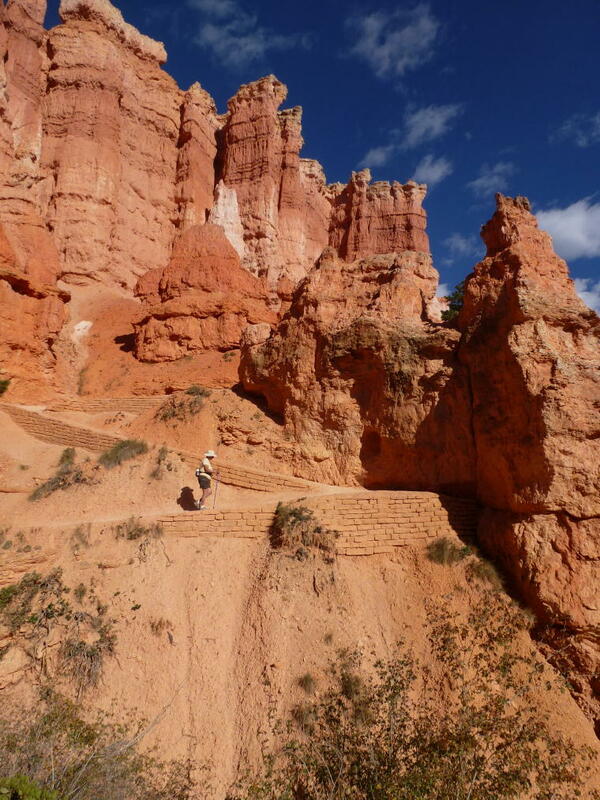 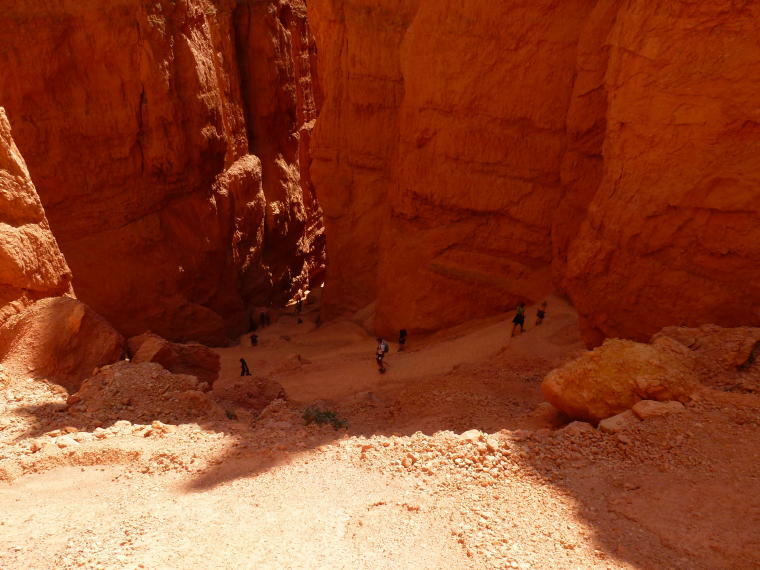 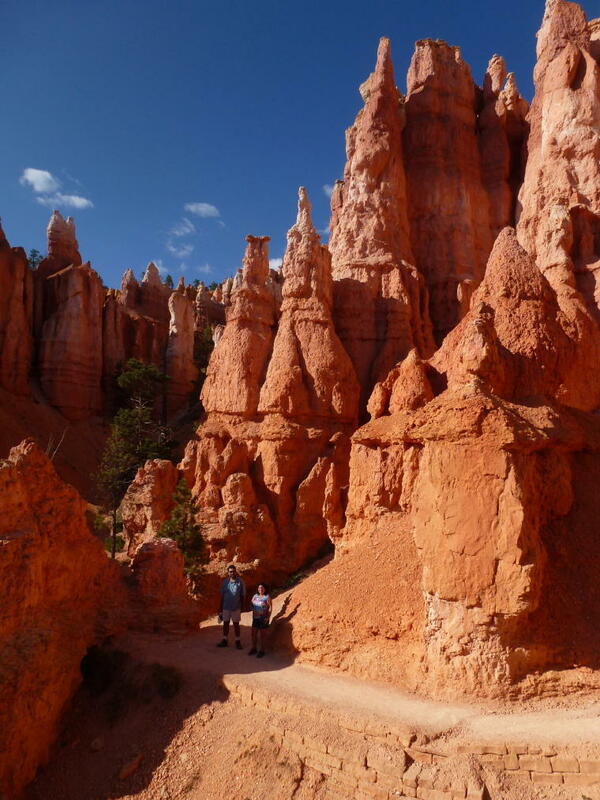 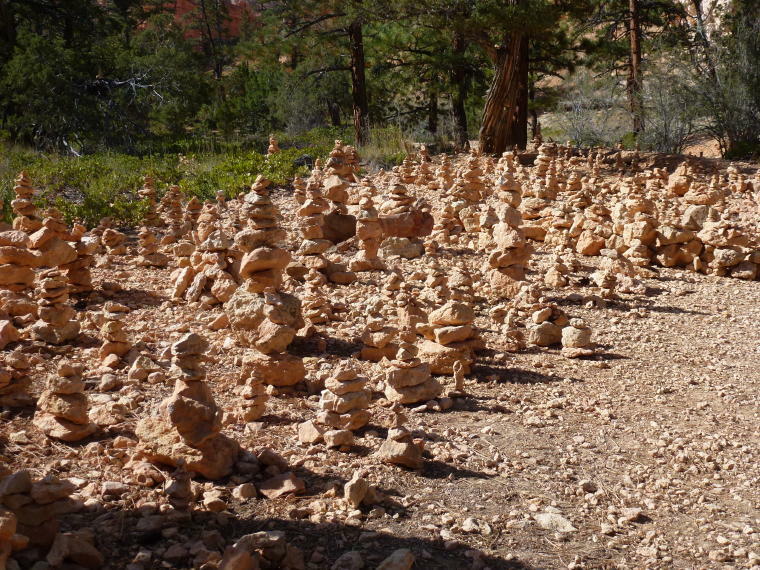 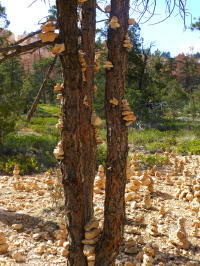 Once in Bryce, we hiked into the canyon along the Navajo and Queen's Garden Loops. 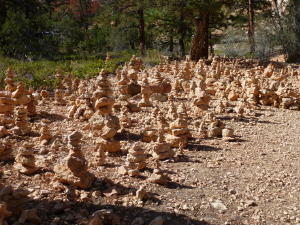 Cairns even seem to grow on trees! Looks like a howling dog!